The movies would have us think the holidays are always full of cheer, good food and close family. But the reality is that family isn’t a safe haven for everyone. Many of us spend our holidays with people who can be cruel, aggressive and downright toxic. Short of abandoning our holiday traditions altogether, how exactly can we deal with the toxic family members we’re doomed to see at gatherings? 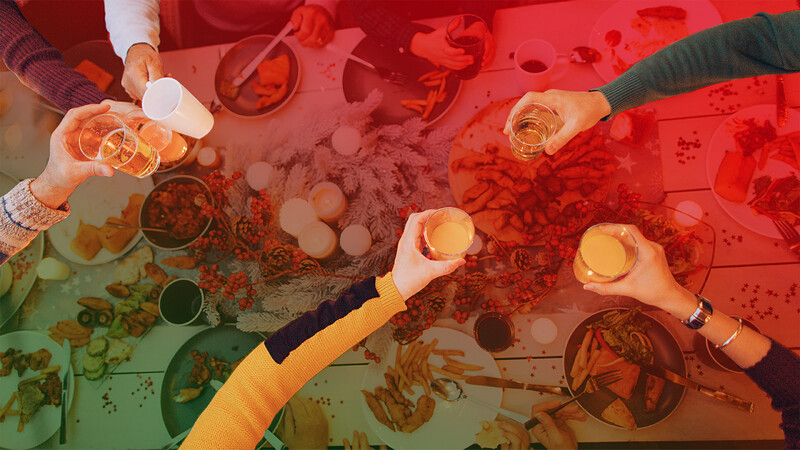 Still, here are a few ways you can handle toxic family interactions over the holidays and preserve a little bit of your own peace. If you’re there, there’s likely a reason you want to be, Glaser says. “The balance is in finding the fact that participating in the obligation serves you. It may serve you by touching base with your family. It may serve you by allowing your kids to have contact with your family. It may serve you by even seeing how much you’ve grown since last year.” So figure out why it is that you go and hold onto those while you’re there. Glaser means this quite literally. Before you arrive for the holidays, visualize a version of yourself who doesn’t let nasty, toxic comments dig at them. “That’s a way to start to strengthen yourself and start to prepare yourself to become that person,” she said. “There’s the ‘keep the peace’ approach and the ‘be direct’ approach,” she told me, and which method you choose really depends on where you are in the process and what your goals are. If you’ve never set boundaries and pushed back against the toxic behavior before, it might be empowering to try it. But she says there’s nothing wrong with “swallowing” the comments temporarily in order to keep the peace and avoid unnecessary short-term conflict. “The more time you spend with your family, the more time the dynamic has to descend and the more available you get toward those old roles and jabs and passive-aggressive remarks,” Glaser said. Limit your time by having somewhere specific to be afterward, like a friend’s party or your spouse’s family. “The first year that you do that, you have to be prepared to ruffle some feathers,” she admitted, but after the first year, the expectation has been set and you’ll have more flexibility in the years that follow. Ultimately, she said, “you get to dictate how you want the holiday season to go.” If you’re having an awful time around the holidays, work on taking your power back and figuring out what you want out of the season. Then get to work deciding how to make that happen.